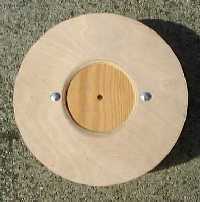 Jig and clamping disk shown separately. 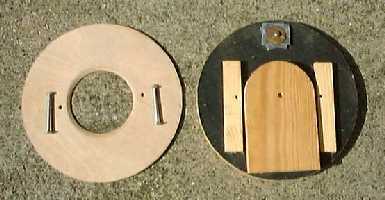 Jig and clock with the clamping disk in position. Turning the recess in the clock is now much safer.